When would you need this: When you want to connect a local network to the Internet and you don’t have that much IP addresses. There are two types of NAT that can be configured on a Cisco router; static, and dynamic. This type is used when you want to do one-to-one assignment of local IP addresses to global IP addresses. This type is used when you want the router to do the mapping dynamically. This method is useful when you have too many global and local addresses and you do not want to do the mapping manually, or when the number of global addresses available is less than the local addresses. ZZZ.ZZZ.ZZZ.ZZZ is the subnet mask of the network that the pool is part of. I have a SIP PBX in my LAN. I have just 2 IP addresses. 1 for the router and 1 is assigned to the VPN router. I want to use SIP Clients from the internet to access my SIP PBX gateway which is on the LAN. Is there any way I can achieve this? I tried creating 2 VPN clients, registering them. However there is a problem when 2 VPN-client connected SIP users talk to each other. There is no speech between the two SIP clients. looks like the rtp packets are not transported properly. I am using a Planet MH3400 router. 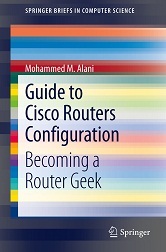 WAN router is CISCO887-k9.